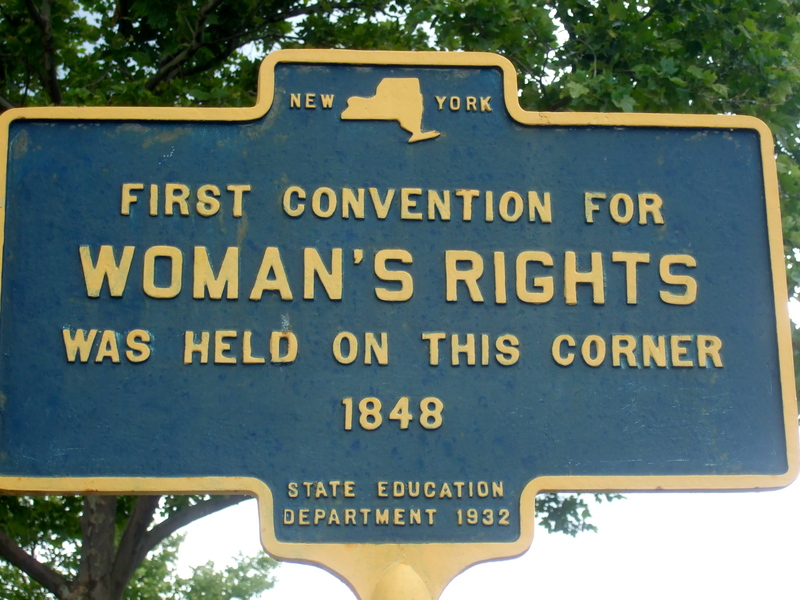 The Seneca Falls Convention—the first open women’s rights convention in the US—was held July 19-20, 1848. 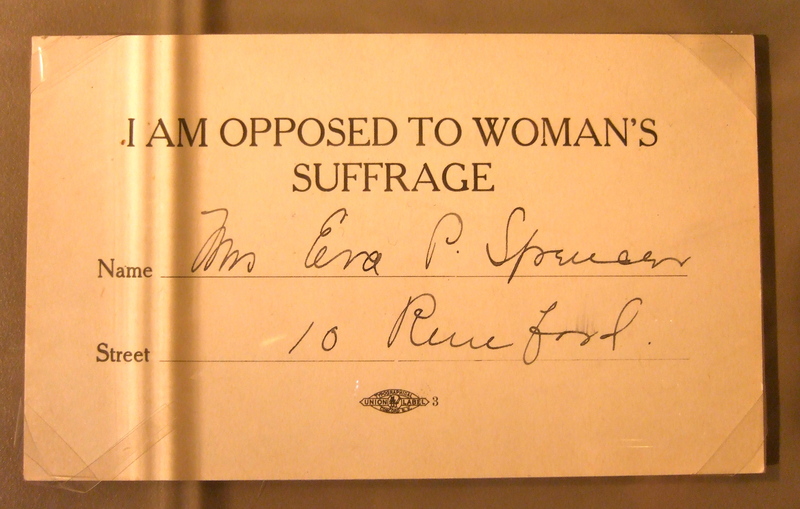 Organizers wanted to discuss “the social, civil, and religious condition and rights of women.” The meeting launched the women’s right movement. Scott and I had the chance to visit last summer. At the Visitor Center, we were greeted by “The First Wave,” statuary depicting convention planners and early leaders. The leaders who spoke publicly were courageous. Earlier semi-secret gatherings in other locales triggered outcry, including threat of a fire-bombing. 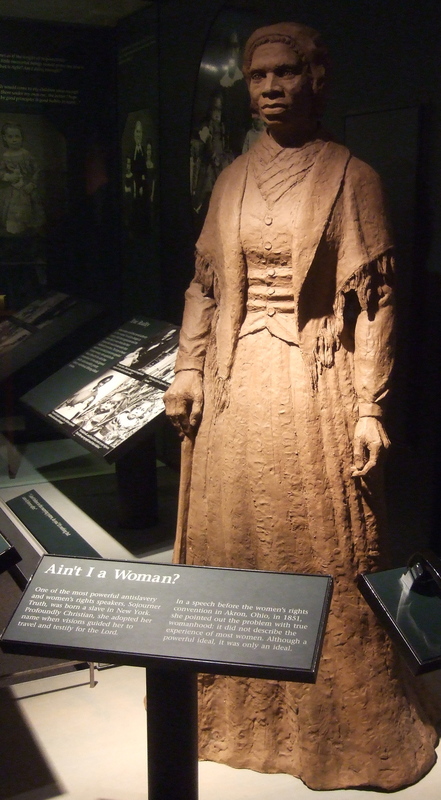 Sojourner Truth, who gave her famous speech in 1851. We also took time to explore museum exhibits. 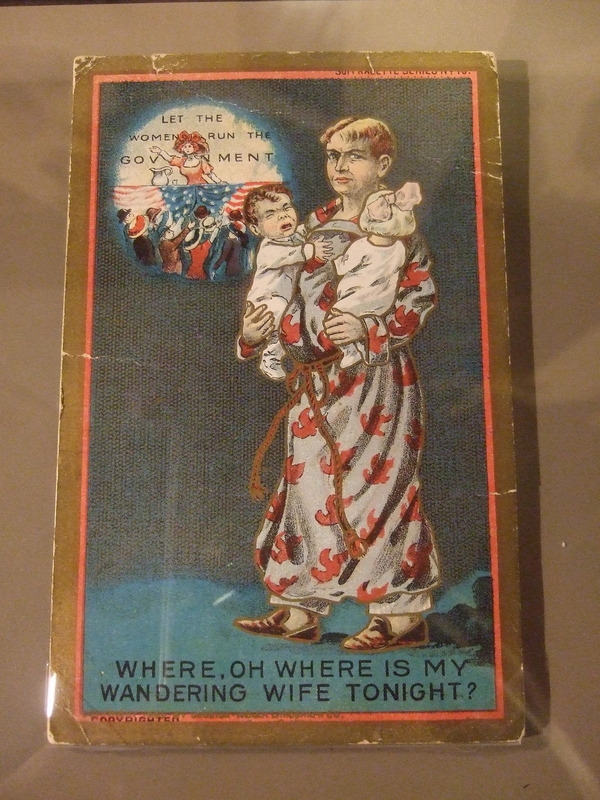 The artifacts serve as reminders that the struggle for equal rights was contentious…and continues to this day. 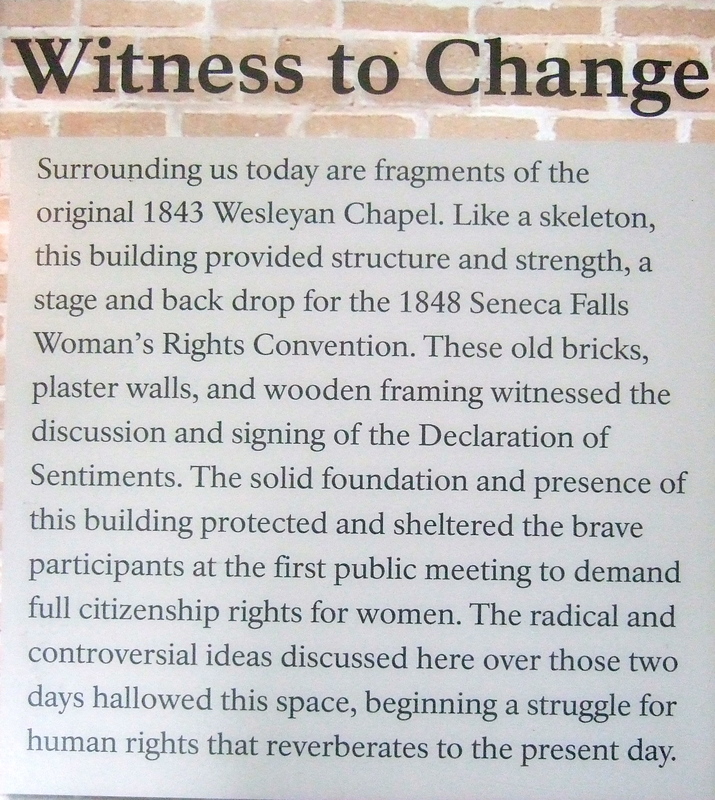 I was most excited about a ranger-led tour to the Wesleyan Chapel, site of the convention. 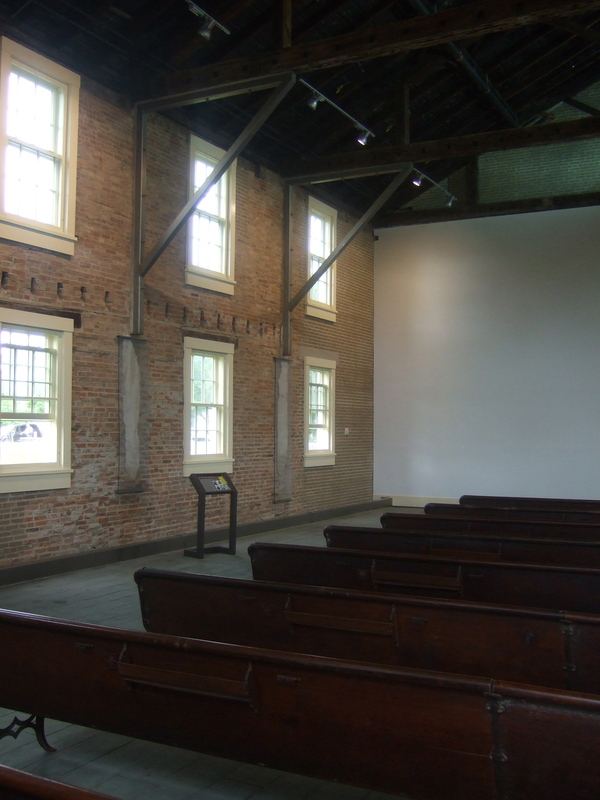 Built in 1843, it was a congregating spot for human rights activists. 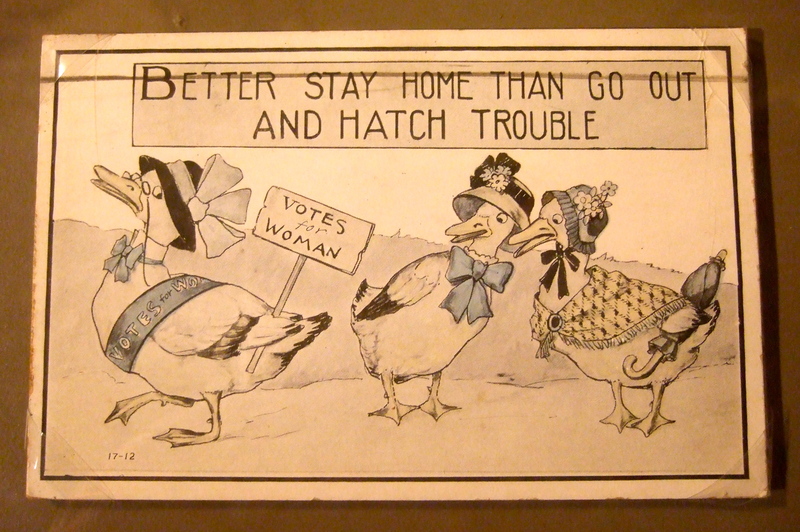 Many were Quakers. Only the reddish bricks are original. In 1871, the Methodist congregation sold the building. Over the years it was used by a variety of businesses, including a skating rink, a furniture store, a laundromat, and an auto dealership (complete with grease pits). When the park service acquired the site in 1985, almost nothing was left of the original structure. Architects have stabilized and protected what does remain. 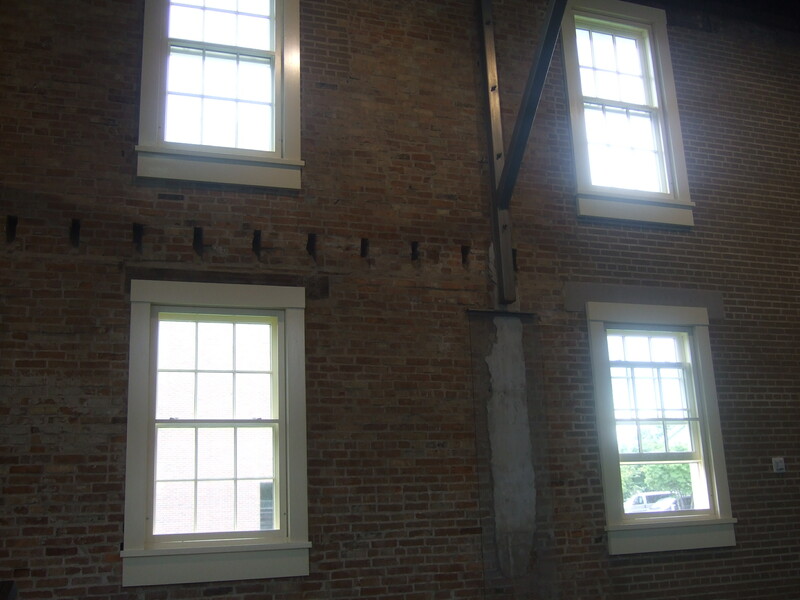 The walls were originally plastered. A remnant is preserved under plexiglass. 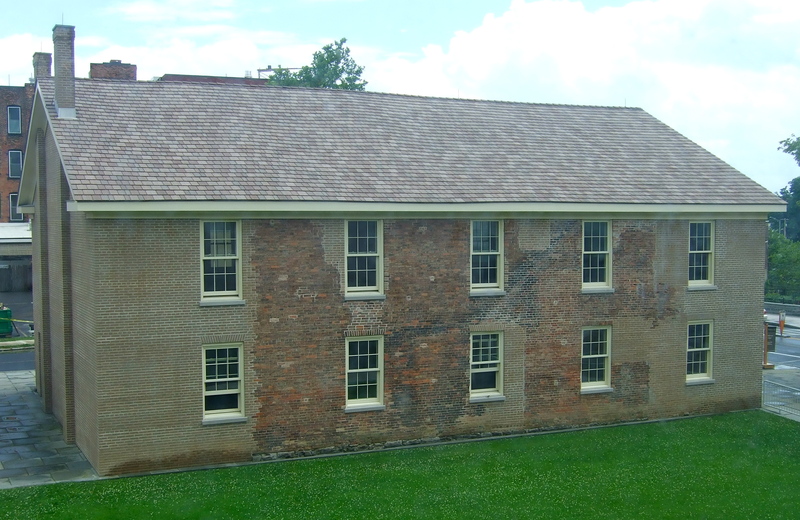 The pockets in the bricks once held supports for a balcony. 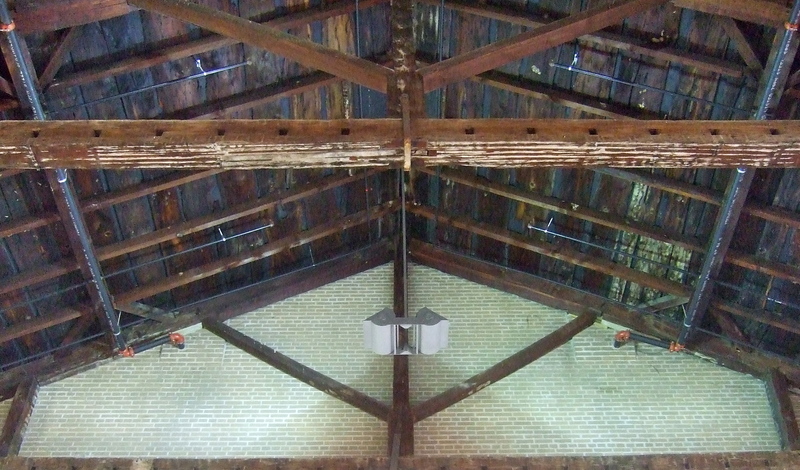 These original beams show the scars of several fires. These pews date only to 1870, but it’s possible that some of the convention goers who attended this church sat in them. The original wood floor disappeared during the car dealership era. 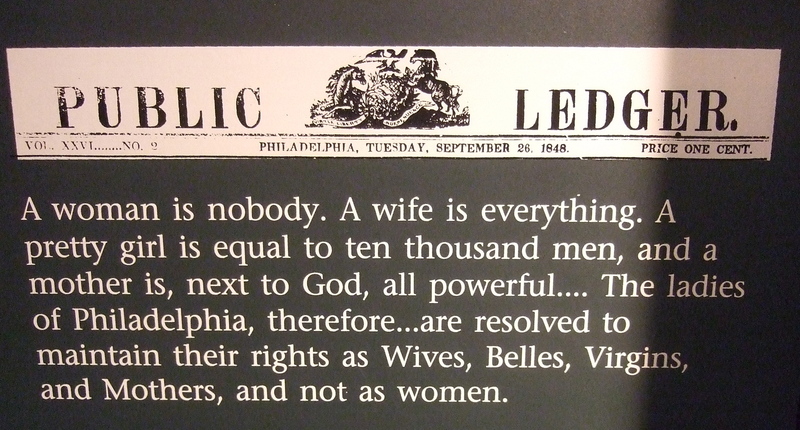 Although there is little left to physically link visitors to those brave souls who dared openly advocate for women’s rights, I found it powerful just to be in the space, where the reverberations of those hot days in 1848 still echo.